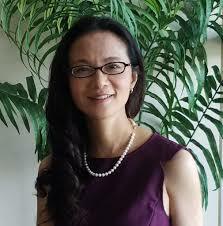 Having decided she wanted to work in the financial services industry more than 20 years ago Connie Zhang is now US Data & Analytics Officer at the Agricultural Bank of China. She will be part of a panel at this month’s Chief Analytics Officer, Fall event, in which she will explain how the financial services industry can attract top talent. In this interview she explains why employers must embrace wider experience than just financial services when hiring and why she believes education is a miracle. What does a typical day comprise for you? Your session at CAO, Fall looks at whether financial services can win the talent race. What’s your view? How can the industry better excite and attract talent to the financial services industry? What’s the biggest change you would like to see that would encourage more talent to look at financial services as an industry? When and how did you decide that financial services was the industry for you? “23 years ago. However, in between I worked for a pharmaceutical company as well as a financial software company. Your job sees the roles of data and analytics combined – how common is that and how do you manage both responsibilities? If you didn’t work in data and analytics what would you be doing today? 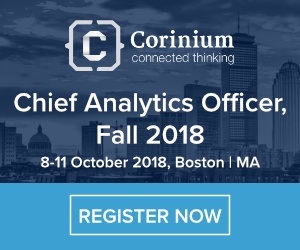 Connie Zhang will be a guest speaker at Chief Analytics Officer, Fall which takes place in Boston from 8-11 October. She will be part of a panel discussion at 10.10am on October 8 looking at how the financial services industry can win the talent race and what motivates data professionals to work in the industry.